"The best thing about Women Getting Results™ is the knowledge that Caren shares with the group, the tips and tools and the experience others have had that we can all learn from. Being females in business it can be a very hard yet rewarding journey, the support networks we have already developed over two sessions is priceless not to mention we are already doing business with two other members of the group. Since becoming a business owner I have enrolled in many courses and seminars, yet the one I have benefited from and continue to benefit from the most is Women Getting Results™." "Since joining Women Getting Results™ I have not only made some great new friends, learnt some new skills and developed my business methods, I have also made some new business contacts. It has been brilliant to put our heads together during the mutually beneficial sessions to come up with new ideas as well as just discussing some of the more commonly used ones. Two brains are better than one and fifteen are just awesome to have in one room. I would highly recommend to anyone in business to join one of the groups run by The Hendrie Group." 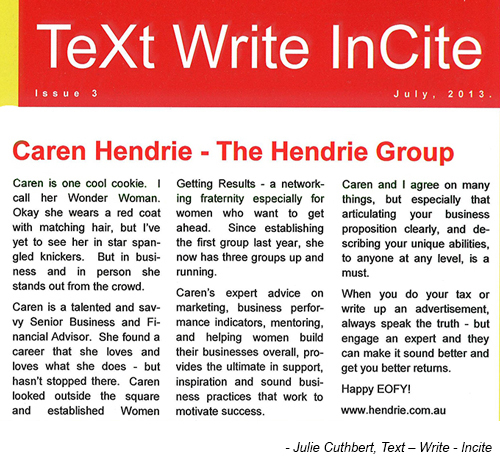 "Caren Hendrie is a dynamic business woman who has a wealth of knowledge to impart on others. 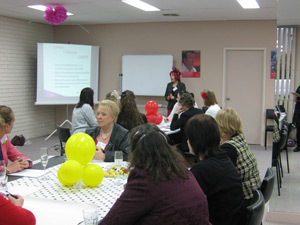 Caren's Women Getting Results™ mentoring is a very valuable business tool. Being involved with like-minded businesswoman is vital to a strong and healthy business. Too often women are conducting business on their own, not knowing who to trust, who to turn to or why having a mentor is so powerful. 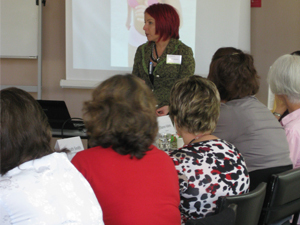 You will meet other amazing businesswomen and learn how to conduct your business better. Caren is there through the process to offer you as much or as little assistance as you need. I would highly recommend Caren's Women Getting Results™"
"The best thing about Women Getting Results™ is that I know I'm not alone with many of the thoughts and issues I have felt about my business. I love the fact that the group is not too big, and also how it is diverse in what types of businesses are involved. This way, it stays inviting and I feel supported. Not to mention, Caz and Kathryn make you feel welcome and give you support that makes it even better!" "The best thing about Women Getting Results™ is the relatively small group size which allows for more open discussions about shared experiences and an opportunity to really get to know the various participants and businesses involved. Despite the diversity, we all have common questions and issues, and the discussions and information provided to date has certainly been helpful. We've only had 2 sessions so far but I have already enjoyed doing business with one member and intend to use three other members for their services in the near future." "Last night was excellent. The catering was sensational and $15 was too cheap! You put so much into everything you do. None of us expected such an action packed night BUT it was brilliant! Well done and thanks for your honesty and faith in what I do. I truly appreciate it. Caren - you blow me away! Thank you"
"Prior to the launch of my new business, I knew what my business did, but just didn't quite know how to pitch it in a concise way that would have customers wanting to know more. I engaged The Hendrie Group and worked with Caren to develop my USP statement. Not only did I come away with a proposition that said exactly what I was offering, but it gave me numerous notes, ideas, and marketing angles to further pursue my sales approach. It's a must for all business owners!" - Dawn Anglicas, Owner, Hey Frog Pty Ltd - Maroondah Yarra Ranges Kids"
As always, thanks for not only an inspirational networking night but, more importantly, a whole lot of fun. As time goes on these ladies are not only networking, marketing, PR buddies they're becoming friends. And it's friends that help you grow your business. Formality is now well and truly out the window and a relaxed 'who gives a stuff' atmosphere is bonding us all beautifully. Hat's off to you. "It was a great night, lots of fun and new connections." "Caren's groups are invaluable, I would highly recommend to any women in business who are serious about being successful - this is the place to be."